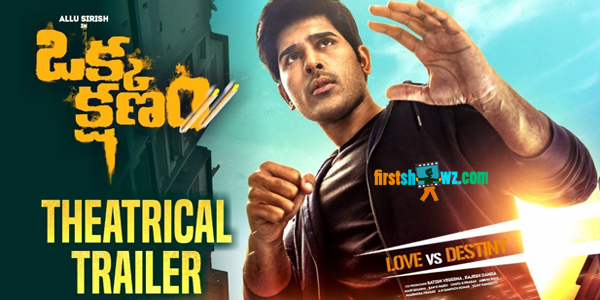 Watch Okka Kshanam Movie Trailer directed by VI Anand. Allu Sirish, Surbhi, Seerat Kapoor are seen in key roles. Mani Sharma composed tunes to this Love Thriller. Chakri Chigurupati produced this film under Lakshmi Narasimha Entertainments.